Couples are always looking for ways to make their wedding day special, unique, and personal. After all, weddings are a celebration of your union and often times this includes the bringing together of the most important people in your lives. 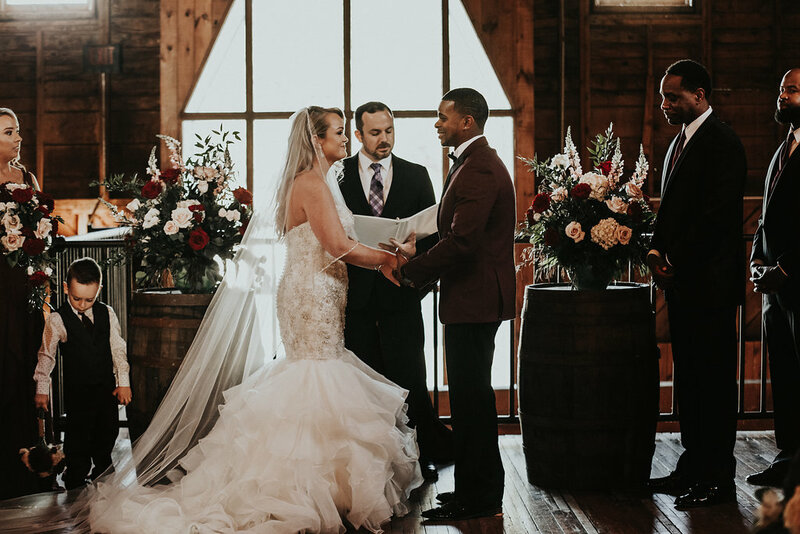 This desire for a personal connection leads many couples to want family members and friends to officiate at their ceremony. This not only makes the ceremony more intimate but is also a great way to create a memorable atmosphere and even more special meaning. Today we will look at the rules of union, who can and can not marry you in the state of North Carolina and more importantly how to become ordained within the state. So if you like many other couples desire to make it a true “family affair” are fully informed. According to the North Carolina law, there are only two groups who can legally marry somebody within the state. The first would be an ordained minister of any religious denomination. These would include ministers or priests at your chosen church ceremony site, a long time childhood preacher, or even a friend ordained over the Internet. While the second option takes a more civil route allowing a magistrate judge to perform the ceremony, such as a courthouse wedding. This would be a great option if you as a couple prefers to have a secular or non-religious ceremony. 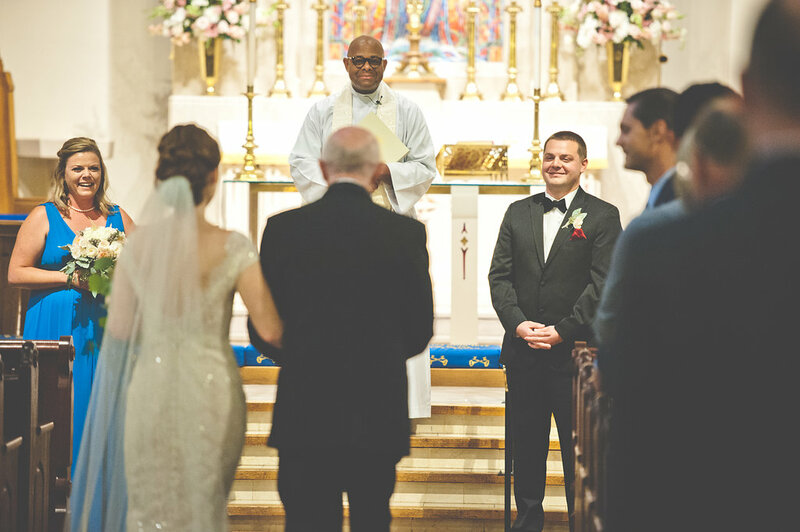 In recent years it has become increasingly popular for friends and family members to become ordained online and since North Carolina law allows for it, this is a great option to add the personal touch. But, where to start? There are several websites online that make becoming an ordained minister quick and easy. Some great sites to get started are Get Ordained, Open Ministry, and American Marriage Ministries. However, it is important to note, that once the person you want to marry you completes the program, they still need to register their ordination with the state. To do this they will need to contact their local county clerk and provide the documents (which vary from county to county) to prove their ordination. It is important to remember though that all couples, regardless of who is marrying you, must obtain a marriage license from the Register of Deeds of the county in which the marriage is to take place. Licenses, once issued, are good for 60 days so plan accordingly. The paperwork is rather straightforward, but you will also need to bring a valid state issued ID and a copy of both of the couple’s Social Security Cards. The cost for the license is only $60 in all North Carolina counties. After the marriage, the person performing the marriage is required to give the newlyweds a marriage certificate. The marriage certificate must be signed by the person performing the marriage, two witnesses, and returned to the register of deeds in the same county that the marriage license was issued. The marriage certificate is the official record of the couple’s marriage ceremony. Dealing with laws and legal codes is never fun and often very stressful, something you definitely don’t want on your wedding day. I hope this information can offer a little help and ease the process. Having a family member or friend marry you is a great choice that will deepen bonds and create lasting memories. Don’t be afraid to choose this option – it really is much easier than you would think!